The College of Education, Health, and Behavioral Sciences offers the Bachelor of Interdisciplinary Studies (BIS) degree. This degree is a full, 4 year baccalaureate self-designed general studies degree that complies with all university requirements as well as allows students to choose courses that best match their career goals. The BIS degree can either be obtained through traditional on-campus coursework or online. Upon being accepted to the University, you will need to speak with your advisor to talk about your specific program check sheet and to discuss your educational goals in order to personalize our degree to fit your educational needs. Your check sheet will show a listing of all the courses that you have completed as well as the courses you will need to complete in order to meet the graduation requirements. We do accept up to 60 hours of non-college credit including military, DANTES, CLEP and Portfolio credit hours. For more information on the DANTES and CLEP credit please visit the Student Services and Success Mentoring Center at http://www.utm.edu/departments/success/testing.php or click the Forms tab on our webpage. More information for the Portfolio program can be obtained by visiting the Portfolio webpage at http://www.utm.edu/departments/pla/portfolio.php. Please keep in mind that only 12 hours of Portfolio credit will be accepted. These hours will be discussed and decided upon when you speak with your Advisor to discuss your educational goals. A minimum of 18 hours must be upper division hours (300-400 level courses). A grade of “C” or better is required for all Area of Interest courses. No more than 36 semester hours can be in one discipline and no more than 50 hours in one discipline can be counted towards your degree. Total minimum of hours completed is 120. A degree plan is an official copy of your individualized Area of Interest. Your advisor will help you in individualizing your Area of Interest and submitting your degree plan. This plan will need to be submitted to the Records Office before the start of the semester in which you will have completed 90 or more hours. Once this plan is submitted it then becomes the student’s official program of study. Any modification to the student’s program must be approved by the Interdisciplinary Studies Council. Minimum of 120 earned hours. Overall and Institution GPA must be a minimum 2.0. A total of 36 hours must be Upper Division hours (300-400 level courses); 27 of these hours must be completed at UT Martin. A total of 60 hours of the total 120 earned hours must be from a 4 year institution. ETS Proficiency Profile must be completed prior to scheduled graduation date. Refer to the Holds section of the Welcome Booklet under the Forms tab for more information on these exams. Diploma application must be submitted to the Records Office. This can be done through Banner or contact the Records Office at 731-881-7050. 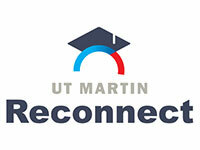 If you have any questions regarding graduation please contact the records office at 731-881-7050 or visit the graduation website at http://www.utm.edu/departments/registrar/graduation.php.